Several people have asked me “why doesn’t a cartel form to take on the suppression schemes on the COMEX and LBMA?”. This is a very good question. One I believe can be answered with some common sense, a little bit of thought and a very broad view. For a little foundation work let’s look at COMEX silver inventories. They claim to have 63 million ounces available for delivery, adding in the eligible category we see a total of 175 million ounces. At current prices, it would only require $1 billion to claim the entire registered category and only $2.8 billion to wipe out all inventory. I am using silver here because the numbers illustrate how small this market really is and how easily the inventory could be cleaned out. Were we to look at their gold inventory, only $10 billion would do the trick! Now on to our question, why hasn’t anyone taken on the suppression scheme? Why doesn’t someone just step up with $10 billion and end it all? First, once upon a time someone did. The Hunt brothers tried in the late 1970’s and came close to actually cornering silver ..but as you recall, the “rules” were changed by COMEX and only selling was allowed. Truth be known, they did “corner” silver which is why the rules were changed, the “money interests” were about to go belly up but the Hunts slightly miscalculated. The Hunts had borrowed monies and used margin accounts, when COMEX changed the rules they could no longer fund their positions, they were forced into liquidation. Please understand this, were someone to try to corner the silver or gold markets, they would in effect be challenging the biggest financial powers the world has ever seen. Trying to corner the COMEX individually or collectively would be met with some very nasty responses that would know no limits. Some say, and I believe it’s plausible if not even probable that JFK was shot because he wanted to bring silver notes back into the system. He wanted to limit or even abolish the Federal Reserve. He challenged the “money interests”. It is for similar reasons I believe an individual or individuals would be easily thwarted by threats or worse. In my opinion, an “operation” like this could only be undertaken by a country …or countries, plural. Why wouldn’t a “country” make a try at something like this? You might ask Saddam Hussein or Mohamar Qadaffi what they received for wanting to sell their oil for something other than dollars? Your next question might be, why wouldn’t Russia try to blow the game apart and expose the fractional reserve nature of the gold market? They are already being sanctioned, so what sort of additional blowback would there be? Or why wouldn’t China do this as they surely have the ability to? Thinking this through, why would they? Just to blow the credibility of the Western Ponzi scheme? Actually the real question is why wouldn’t they? It is my opinion they “have” been doing this, or better said, actively “preparing” to do this since at least 2008. China or even Russia could have blown up the COMEX and LBMA at any given point in time over the last many years but have not done so because they did not yet “have the prize”. The “prize” being the contents of Ft. Knox, West Point, NY Fed and BOE vaults! They have been methodically draining these Western vaults for years and accumulating our gold…”in preparation”. Let me explain it this way, the largest client I ever did business with taught me a lesson very early in my career. He bought 20,000 shares of a stock that immediately went up 15-20%. I called him gleefully to let him know the good news, he cussed and told me to blow it all out at market. When I called to give him his fill price I asked why he was upset, he just made $50,000 in less than a week? His plan was to buy up to 500,000 shares, when he buys something he wants it to go DOWN in order to buy more and build the position without affecting the price upwards. His words were, “20,000 shares is a ham sandwich odd lot position, I’m not in this for nickels and dimes”. Relating this to China, they have now amassed at least 10,000 tons of gold in my opinion and most likely much much more. More importantly, they have drained a good portion of this gold FROM the West. Blowing up the Western financial system at a time they had not yet “built their position” would have been foolish, doing it after building their position while draining Western reserves kill all birds with one stone! I wrote last year an article titled “Kill Switch” where I hypothesized the very large open interest in silver was actually the Chinese (et al) holding their thumbs on a kill switch. One where they could make a “call” on more COMEX silver than is even available. The open interest has again expanded and now near record levels well over 188,000 contracts representing over well 900 million ounces versus 63 million ounces available to deliver. I still believe there is validity to this hypothesis, we will see. I believe China is now in a position to act and it is likely they will ask for an audit of our gold reserves as they announce theirs when requesting entrance into the IMF’s “SDR”. The fraud will be exposed, China (et al) will own a significant portion of Western the reserves (significantly marked up in price) and it will all have been done within the rule of law …and as I said yesterday, “politely”. To answer the original question, I believe there has been a cartel on the buy side all along that just bided their time and “carried” their opponent into the deep waters of the championship rounds! If this theory turns out to be correct and I fully believe it is, we will look back at the charts and understand China smiling politely and saying “thank you” after each cartel attack! This will be no laughing matter. 1.) It is true than you cannot walk into a WalMart and buy something with a gold or silver coin, but that is because WalMart is a govt backed mega corp and WalMart employees are not very sophisticated. When dealing with sophisticated people it is entirely possible to trade a 400 oz gold bar for a yacht, Ferrari, or work of art. 2.) There was price deflation in 1980 in real money terms (i.e. gold and silver). 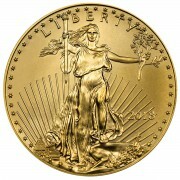 In 1980 60 ounces of gold or 1,000 ounces of silver bought a nice house. 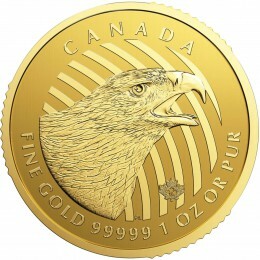 Today it costs about 15,000 ounces of Silver or 200 ounces of gold for the same nice house. FYI in 1930 it took about 2,000 ounces of silver to buy a nice house, so silver doubled in real terms from 1930 to 1980.
thanks AW, only so much time to say what I had to say. why would they want to sell their production for lower prices? I certainly can’t respond for Kreditanstalt, but perhaps he’s referring to the miners being in a financial jam — highly leveraged just like the oil companies. They’ve got to pay at least the interest on their loans or they’re done. So they produce as much as they can to pay the bills and hope prices will rise again. Self-defeating activity perhaps. I think Russia and especially China are playing the long game. They do not want to take out the dollar, are not interested in a kill switch. They have to think about their own people and government and survivabilty in the event of a currency meltdown. They can’t afford to lose control and have their own revolution. And besides, China wants to use up their US treasuries in the future. They want to buy up America after the SHTF. If we have all out physical war, then maybe they will dump their holdings in an effort to bring us to our knees, but they could also still wait in order to hold future leverage. We all want this madness to end, but I am starting to think that kill switches and the like is just wishful thinking. Governments are about continuity of power and will not play these ‘final’ cards unless all other options have been removed. Thanks Bill, I look forward to reading your every post. then what exactly accounts for silvers nearly record open interest? Who, other than a sovereign backed cartel could handle the losses so far? Andrew – Totally agree. The ‘final countdown’ will only proceed after all else has failed. Russia and China do not want war. Why go to war when they can accomplish their goals by peaceful means? The US is in a VERY weak position; financially, geopolitically, and socially. The only remaining strength is the military machine, backed up by the military industrial complex. Hence, the western oligarchy want for war. Except both sides realize that direct military confrontation of two or more nuclear powers will spell doom for all. The proxy wars will continue and with a good possibility of spreading. We can only hope that TPTB are frustrated in this last parry using the military option, for that is all they have left. If they fail to create WWIII, then the house of cards will fall and the reset will begin. There is no need to create hyper financial bombs, no government wants the fallout. Everybody in power will work to create the new system because it is in their self-interest to do so. The market will clear out the deadwood in a series of cascading events. There will be much pain, but out of the ashes the new multi-polar Eurasian based system will emerge. It is patently obvious that PM will be used as part of the basis for the new currency and it will have to be valued higher. America will be for sale, asset stripped with all those returning dollars looking for a home, until the dollar becomes toast. I hope I live long enough to see the day. We are a people who are completely psyoped. I have come to realize that our society is shot through with elite controllers whose whole purpose in life is to manipulate others and create mind games for their own entertainment and enrichment. They leave clues everywhere, confirming that we deserve our fleecing by stupidly accepting our condition. This is not a sideline, this is what our society is predicated on. In my darkest hours, I welcome the physical destruction of our country because I realize the sickness is so deep and entrenched. Without pain we will never realize what has become of us. or they blame a crash on a war. yes, I think the plan is for war, allow the crash to occur and deflect the blame. This is where we’re headed. The neo-zio-cons are going for broke. The Samson option is ahead. Europe and the baltics are on the same train, so who’s going to stop it? Russia and China are playing defense, so they’re not going to take us out unless we try to take them out. So who’s going to stop us? Everybody’s playing for time, but time is running out. Any white hats out there ready to intercede? Now might be a good time. What an epic time to be alive. Glad I’m 61 and not starting out. Had a full, good life already. Too painful for the young to look too deeply. Bill, I still think that the US will push for China’s exclusion from the SDR, simply because to do otherwise would unveil the gold bullion fraud that is the basis of the western fiat Ponzi system. It would completely erode the foundation on which rests the paper wealth of the western oligarchy. The oligarchy controlled US desperatly want war. The “wild” card is Putin and Russia. There is a most excellent in depth analysis written by Rostislav Ishchenko, posted on “The Saker” sight (hopefully the link works) on what Putin wants. Well worth your time to give it a read. they will NOT be excluded as Russia was not excluded from SWIFT, they instead got a board seat! Nixon closed the US gold window in 1971 which meant foreign central banks could no longer redeem their US$ reserves for gold. So for 44 years now the whole world has had absolutely no reason to expect or assume that the US had a single ounce of gold in Ft. Knox or anywhere else. Since 1971, every international trade has been based upon the “full faith and credit” of the US MIC. We could drone them if they didn’t accept US Monopoly Money. what does it mean if they are gone? Rather than buying up COMEX inventories yourself, why not use the world as your procurement department? Offer any sort of premium ($1) for instance, on physically delivered 1000-ounce bars. People need not bore you with their little 10-ounce bars to get a better price than at the pawn shop. 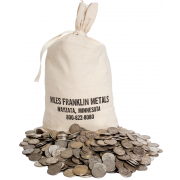 These 1000-ounce bars most only live in the deep storage vaults, and networks like COMEX. To offer a premium, and accept any deliveries, effectively changes the spot price to whatever YOU’RE paying today. Maybe $1 doesn’t do the trick, but $5 certainly will. People would start taking COMEX delivery, just one bar, and arranging logistics to get it to your vault. Your $1 billion goes a long way if you sell what’s coming out the back of your warehouse into the market after you’ve made a profit. yes, but then it would end the game. He who is patient and uses planning usually ends with the prize. Holding the trump card is very difficult if one has the weakness of arrogance. You all get my meaning. Rack em and stack em…. the Chinese may be many things, arrogant is not one of them. Arrogance usually ends up costing plenty in the long run. Slow, well planned and executed actions usually gets one to the ultimate goal. Unfortunately man has many flaws. One flaw we have is that we insist that someone must be on the top and the rest must serve the top. This has been achieved throughout history but over time the tricks to the game have been exposed. Now history tells us that in order to keep control the elites must destroy those that have unlocked the tricks so that they can again repeat the cycle. Problem is that we now are faced with obstacles that are bigger than ever and that will make the task of repeating the cycle enormous if not impossible. I do not believe that any of us can interrupt the effort to recycle the past. I do however believe that we can insulate ourselves to some degree from the chaos that is about to arrive. Arrogance cannot get us out of this mess. It will take a significant transfer of power to redirect ourselves from a very bad situation. There is little doubt that most of the world is choosing to follow a different path than it has followed the last 50 or so years. …and being humble makes you less of a target. There are things in life I can influence and things that are beyound ny influence. When I use the word I what I mean is each one of us individually. My family does not want to hear my message. They would prefer to do the comfortable thing. Assume that things are not that bad and that they will work themselves out. Very few of society understands the realities of DEBT and corruption. If we try to describe the real world to them they mostly see us as fatalists and or negative. So arrogance here will not help you. You must rise up and be humble all while taking steps to reduce debts and influence the banking system has over you. Once this is achieved then you begin stacking..The greater amount of your wealth that has no third party risks the more likely you are to have control over your future. One of my largest fears is for people like Bill, Andy, Jim Sinclair, Greg Hunter, Eric King and the many others that put themselves in harms way by challenging the powers to be. The level of respect I have for this group and others is large. The level of trust I have in political powers is very close to nil. In time they will realize they have done a very selfish and dishonest thing by misleading society. very few want or do hear the message. How do you come up with the figure of 10,000 tons of gold for China? very easy, please see my latest interview with Greg Hunter. The Governments/Elites are more like NFL owners in the sense that they have much more in common with each other they do with the sheeple/NFL fans. So Obama and Putin are like the owners of the Patriots and Ravens. They pretend to be rivals, but only to drive ticket sales or loyalty toward ones own government or team. It is much easier to control your population if you force them on a fiat currency. If Russia and China “take out the dollar” by busting the comex, then they likely will take out all paper currencies at the same time. All currencies will start to hyperinflate against gold and silver. At this point Russia and China (to save their own currencies) must offer to back their currencies with gold or other tangibles. they will do this once they can no longer receive metal from the West. I’ve believed for some time that China is organizing the smashes in Silver and gold, simply to accumulate more at lower prices. You broker experience is especially telling as it positively affirms my belief. Maybe they are, maybe not. But they certainly are buying physical on the smashes. When picking up a rattle snake, it is wise not to make your move until you can control the head. or just shoot it with a 12 gage from 10 feet away? Yes, that works fine if you wish to totally annihilate the snake; but I’m thinking China would have different plan for “us”. Why no upside cartel? That seems simple enough. Gold and silver are currencies that complete with all fiat currencies but most especially with those that are considered “reserve currencies”. Chief among these reserve currencies is the US dollar. Those of us who pay attention know that gold and silver never change in value, so the “price” is really just a reflection of the value of the currency in which these metals are priced. It is the fiat currencies that bounce up and down all the time because they float against each other, not gold or silver. Once this is fully understood, it is clear that gold and silver prices MUST be “managed” so that the bottom will not fall out of the fiat currencies, which it would do IF gold and silver were allowed to run free and have true price discovery. Anyone wanting to know what the REAL price of gold is can find out simply by trying to buy some from China. You can bet money safely that the price they ask will be MUCH higher than the current London / NYC paper prices. China is WELL aware of this, so is accumulating gold big-time… and perhaps silver as well. India is buying a LOT of silver these days (7,000+ tons in 2014!) to go along with their gold buying. Both Indians and Chinese citizens have a history of recognizing real wealth when they see it. They also have a history of failed paper currencies and LONG memories. People in these two countries are acutely aware of the problems inherent in fiat money systems, just as they are aware of the benefits of diversifying their wealth OUT of any single currency in general but out of the fiat currencies in particular. At the same time, the USA and UK governments are aware of these same fiat currency problems and the benefits of gold and silver as competing currencies. This is why other countries are having so much difficulty in repatriating the gold that is stored in the US and to a lesser extent in the UK. I believe that the US HAS a lot of this gold, knows what’s coming in terms of a fiat Armageddon, and doesn’t want to let go of this gold. As has long been said, “Possession is 9/10ths of the law”. What has not been said but everyone knows full well is that the US tends to make whatever law it needs to do whatever it wants, so those who left their gold here for “safekeeping” are unlikely to ever get it back. It’s not that the gold is gone so much as it is that they just aren’t getting it back. It is being kept to “serve a greater need”… which is to say OUR need. To reward China for not exposing all this duplicity, China is allowed to buy lots of gold for cheap prices thanks to the paper price suppression game that TPTB in the US and the UK use to suppress gold and silver prices to support the US dollar and the British pound; and to buy time before fiat Armageddon arrives because it can no longer be avoided. We are, indeed, living in “interesting times”. 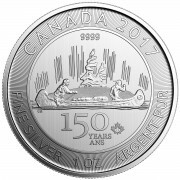 Got gold and / or silver? Thanks Bill. You suggested that I think the idea of an Upside Cartel through to get the answer. No amount of my reflection could have produced the explanation you have provided. That’s the reason your blog is the only one I read every day. thanks Bob. Keep asking questions like these, it gives me ideas to write about on a slow day and is of interest to you the reader! Greek defaults on bond payments. What are the bonds worth in bank portfolios? Same as gold. Why not? That is what they are valued today when everyone able to talk knows they are close to worthless. The party isn’t over till the fat woman decides to sing. Maybe a very long time, as liars are making up the rules day at a time. not very long I am afraid. Just my gut feeling but I think that the US has very little, if any, gold reserves that it owns and will not allow an independent audit under any circumstances. The pathetic amount that was repatriated to Germany was a good clue to this. My call is they will go to war before allowing an audit. One thing I have no doubt about is that 2015 will be a very revealing year. they just got another 10+ tons. we did however move 100% away from silver after his death. Yes and we are moving to tin and eventually no coins soon! plus they used the silver from the Manhattan project. Thanks Bill. Even before you wrote this article, I kept telling myself that surely the Fed knows what China and Russia are doing and the end game is approaching on gold price manipulation. Do you think the Fed/Comex/BOE can scheme some plan to counter this? So many jigs are nearing the end that one can only conclude that society is going to get very angry with the political players. I think everyone understands that there are many who believe that violence is the way to get what you want or need. Governments have been doing this for hundreds of years. The structure of the World today has been achieved by using force. The recent violence in the the streets of the USA on race issues, the demonstrations in Greece on the situation there are good examples. I am a BIG BELIEVER IN THE THEORY…..everything happens by design. We have been played over and over again. we are being played right now. Governments all over the world know that the World is in transition. Power is in transition. Everything is manipulated…Everything has been manipulated.. This manipulation at least in part is coming to an end. They screwed up and they are about to let us destroy ourselves in the coming chaos. PS. Be sure that they will make it look like we are the cause of the problems. That is just how it is done. Everything Governments do is spun as reactions to and necessities. Disbelief will be the BUZZ word of 2015. A Russian party from Ottawa turned up at Gata’s meeting in the Yukon some years ago for a reason. Thus Russia has had a great deal of time to prepare for an attempted replay. This is what the paper-gold muppets on the COMEX and the LBMA don’t know. Started reading your blog here a few months back via the Jim Sinclair’s site.Thank you for this article as it does explain why there has been no upside in the price of the metals. Myself I’ve wondered a lot why China hadn’t taken the west to the cleaners before. As a gold bug and a placer gold miner I am getting to an almost breaking point of this slam down in the gold price. It’s starting to get real old fast here and I really hope that it ends soon. welcome to the blog Gregg, it will happen, maybe not on the timeframe we all would like.